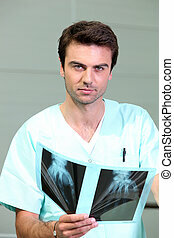 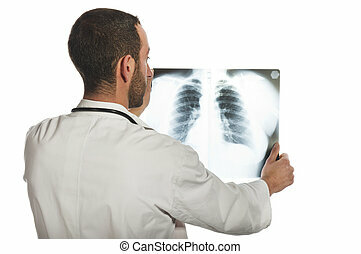 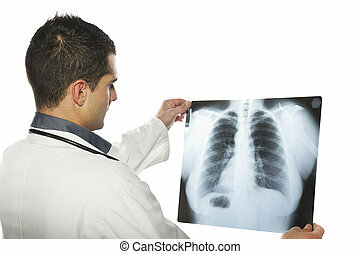 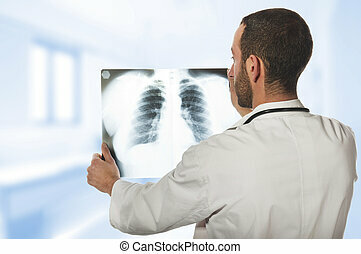 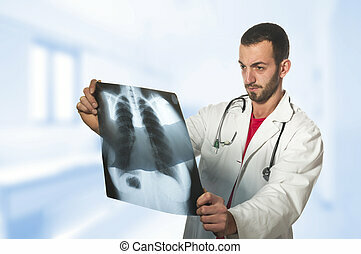 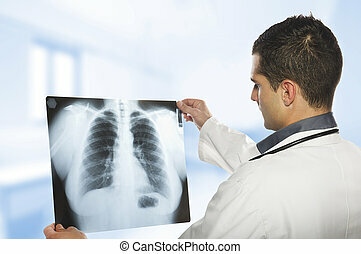 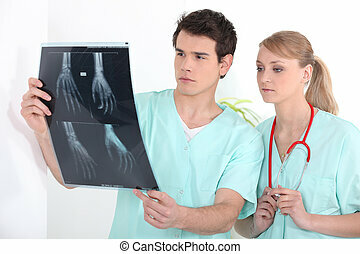 Doctor looking at the x-ray picture of hand. 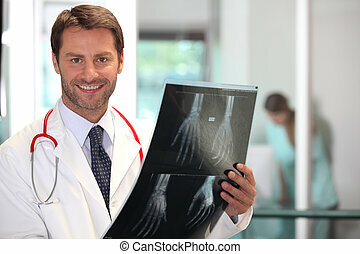 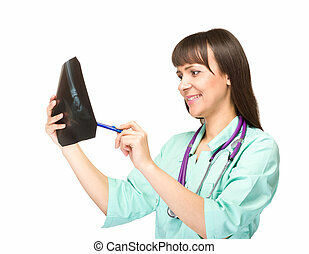 Young smiling female doctor looking at the x-ray picture of foot, isolated on white background. 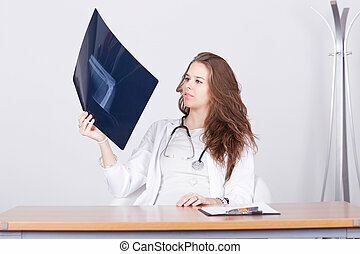 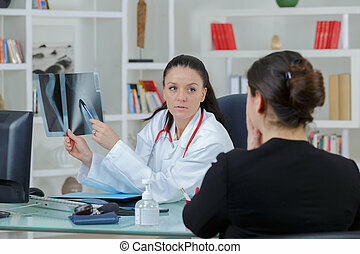 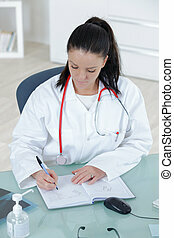 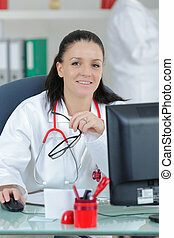 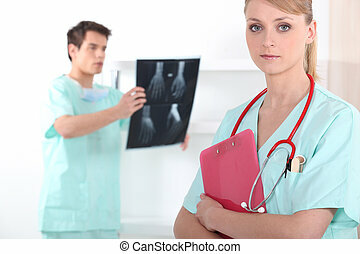 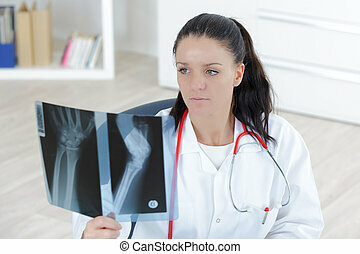 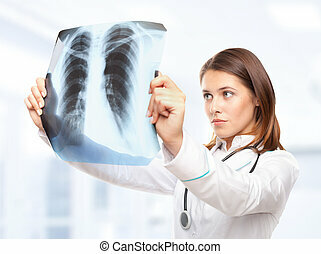 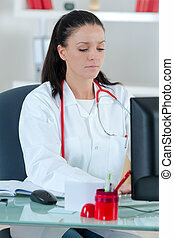 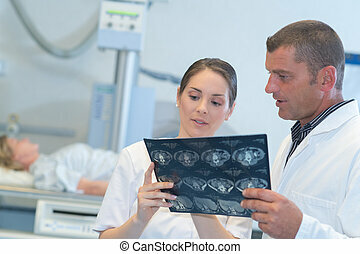 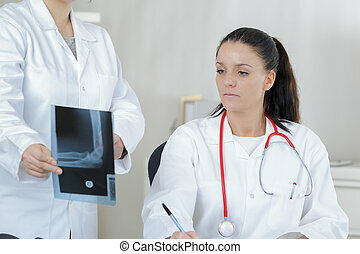 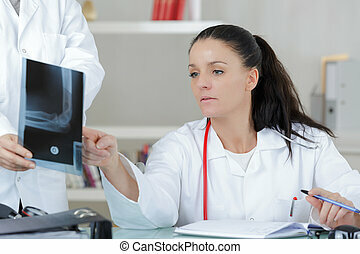 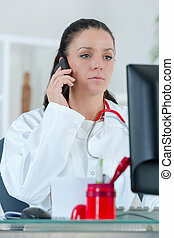 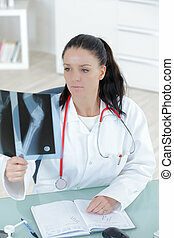 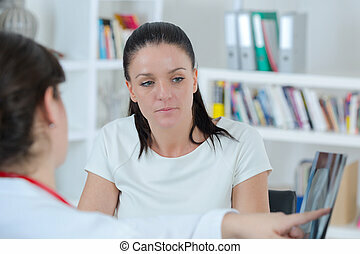 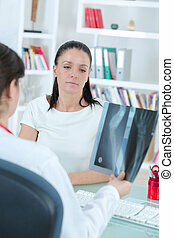 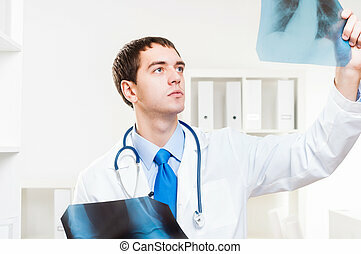 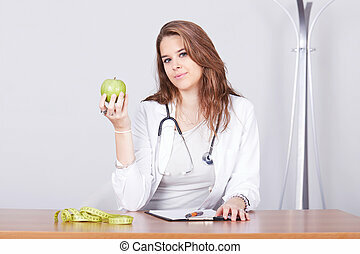 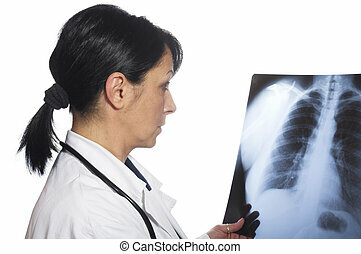 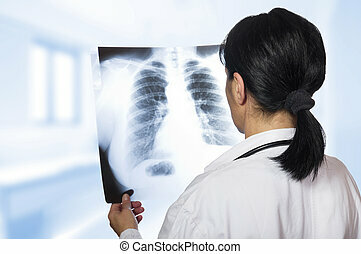 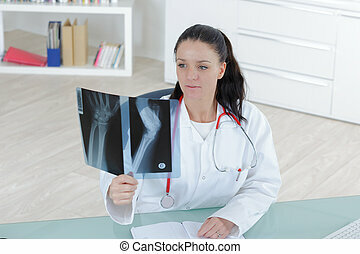 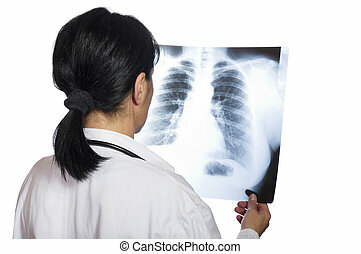 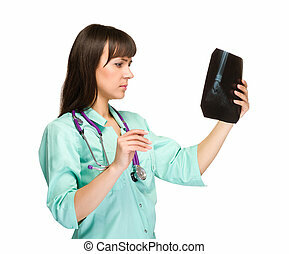 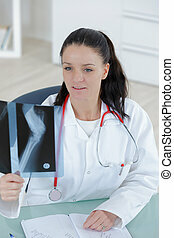 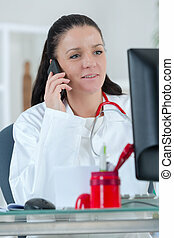 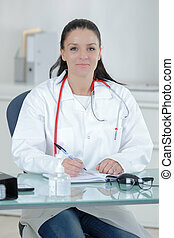 Young female doctor looking at the x-ray picture of foot, isolated on white background.